omid (mashhad, Iran) on 30 March 2017 in Miscellaneous and Portfolio. Great compo, fun & colorful ! Beautiful treatment of an original subject ! Amazing pattern and reflections ! I can't decide which one is good for me ! A great variety to choose from. Funny idea and very good composition ; I like the mixture of colours and shapes. Voire la vie en couleur,bonne idée. "My glasses musrt be here some place...now whart color were they." A fabulous collecction of glasses. Accumulation of glasses ... with a very attractive result ... Great shot! 5***** HUGS! The eyes have it! Incredible image! Quelel face de lunette quelel couleur et effet géniale compo. An eye-catching display of these colorful glasses!! A bit of overkill, nice. Belle palette colorée avec toutes ces lunettes! C'est l'embarras du choix! 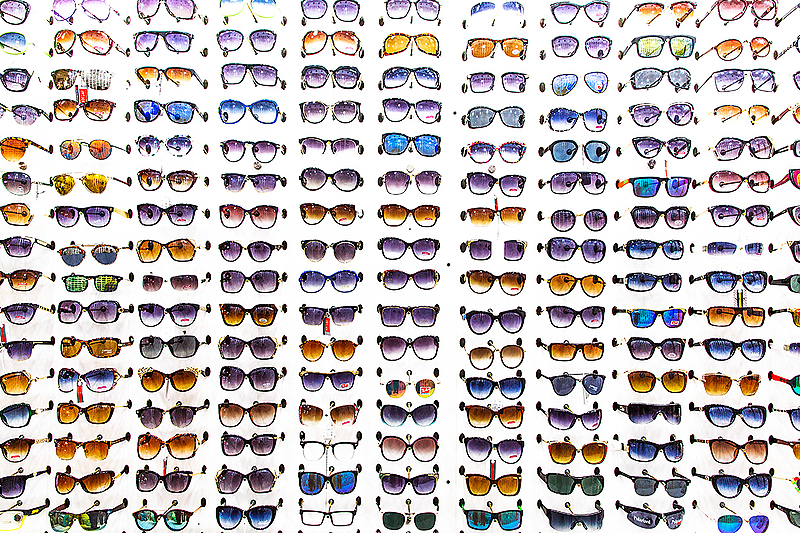 That is a lot of sunglasses! A fantastic image. I love the colors! You saw the potential here so well ! It's difficult to choose one. Really interesting shot! Well seen! سلام یه سوال . . .
ولی دیروز کم آوردم برای عکس انداختن . ممنون از راهنمایی تون . ..
عکس ها و فیلم ها از بین رفتن . . .
نمیدونم تا حالا تجربه کردین یا نه ولی حس خیلی بدیه . . .